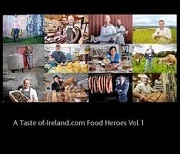 A new book from A Taste of-Ireland.com, with all proceeds going to Twist Soup Kitchens! 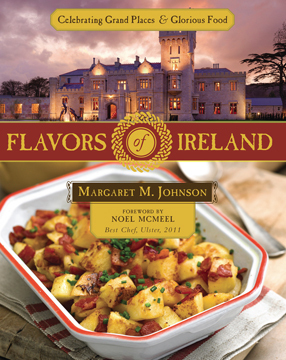 One of Europe’s fastest growing food destinations is getting fresh attention in the pages of a new Irish cookbook from author Margaret Johnson. Buy the Book! 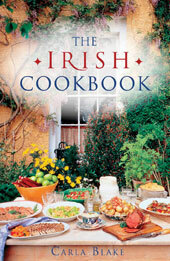 In The Irish Cookbook, traditional Irish dishes are adapted to suit present day tastes and lifestyles. Buy the Book! Shrimp and scallops gently poached in whiskey; tender brisket simmered in ale and topped with a golden cheese cobbler; old-time pineapple upside-down cakes glazed in toffee liqueur. 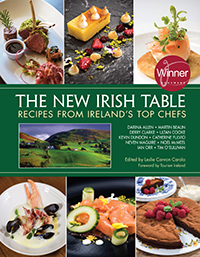 The delicious dishes of Ireland only get more scrumptious with a drop of the “bevvies” to bring out the flavors. Stout and beer, cider and liqueurs, and, of course, whiskey transform these treats into something truly extra-special. There’s everything from soups to desserts, every-night suppers to perfect-for-company dinners in The Irish Spirit. Onion soup gets a decidedly Irish flavor with the addition of some malty stout. Mead and chopped apple give the quick-to-prepare Craggaunowen Chicken, a dish modeled after those served at medieval banquets, its alluring sweetness. 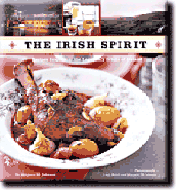 While the Lamb Folláin (it’s the orange whiskey marmalade that’s the secret) is simmering in the oven you can enjoy reading the history of Irish whiskey, fascinating stories of classic events like Belfast’s popular Pub Crawl, and the origins of the infamous “black and tans.” Add wonderful photos of scenic Ireland and this classic cookbook is sure to bring the Irish spirit to life in your own home.